Hats off to a new year! Let’s celebrate with a new round of “Spot the Rock.” Anyone have an inkling where these rocks are mingling? Post your guesses below, and we’ll reveal the answer next week! Our friends were “spot” on guessing last week’s “Spot the Rock”! 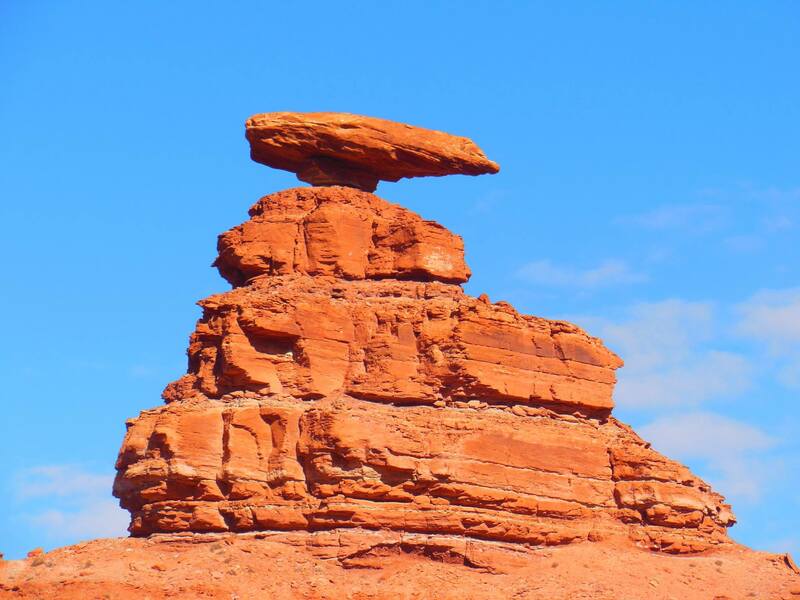 This photo shows Mexican Hat, the famous sombrero-shaped rock perched in the Halgaito Formation. The Halgaito and Honaker Trail Formations appear as red and greenish-gray ribbons on the western flank of the Raplee anticline. Farther south on this route, the rock ribbons take on a scalloped appearance that is due to differential erosion of the soft and hard rocks; the softer Halgaito is wearing away from the crest of the anticline. Time for another round of “Spot the Rock”! You might think these photos seem faded or have altered colors, but that’s actually the mineral’s appearance at this site! Can you tell us what mineral is pictured? For those that know the answer, take the super “Spot the Rock” challenge and tell us the one place in Utah this mineral is found, or what causes the texture in some of the pieces (shown in the close-up photo). 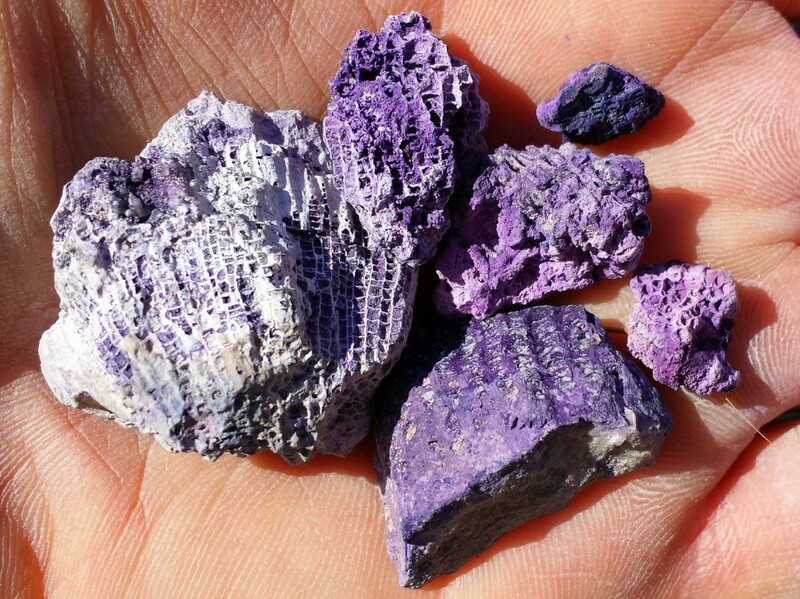 How many of you knew what mineral was shown in last week’s “Spot the Rock”, or where the spectacular purple mineral is located? It looks like we only had one correct guess—it is fluorite! However, fluorite in this area can also be found in various shades of white, blue, green, buff, yellow, and reddish-brown, dependent upon the presence of various trace elements.The fluorite pictured is located at Bell Hill mine, at the south end of Spor Mountain, Thomas Range, Juab County, Utah. The textures seen in the close-up picture are fossil corals. 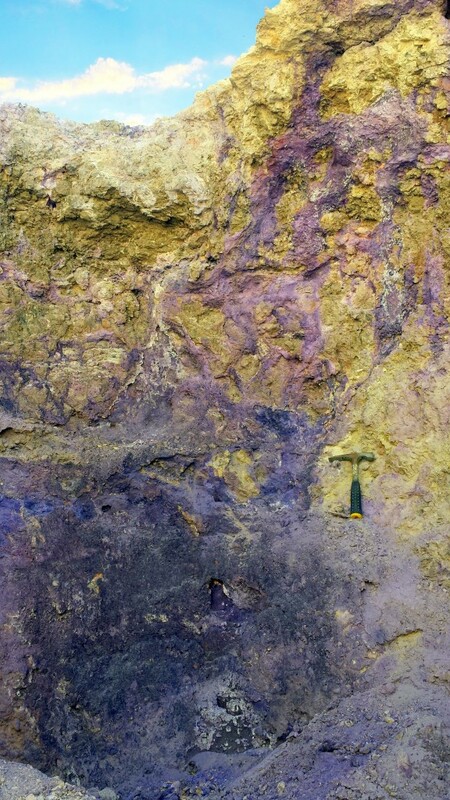 Ore from the Bell Hill mine only contains trace amount Beryllium (0.004% to 0.002%) and no visible bertrandite (bertrandite is a beryllium bearing mineral found at the Brush Wellman mine about a mile to the west). How about another round of “Spot the Rock”? 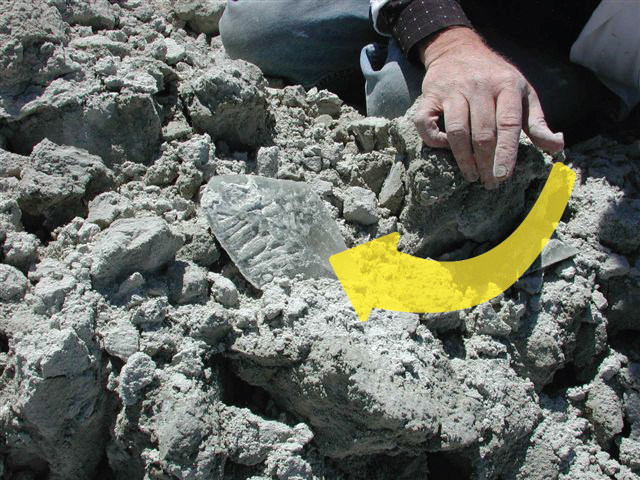 Who can tell us what mineral the yellow arrow points to in the image? It is SELENITE! For those who guessed, Gypsum, you are technically correct. Though this crystal pictured, Selenite, is a specific type of Gypsum. This selenite crystal was found in the the mud of a canal bank and U.S. Magnesium near the south shore of Great Salt Lake. Selenite is the name given to the crystalline variety of the mineral gypsum (CaSO4·2H2O). 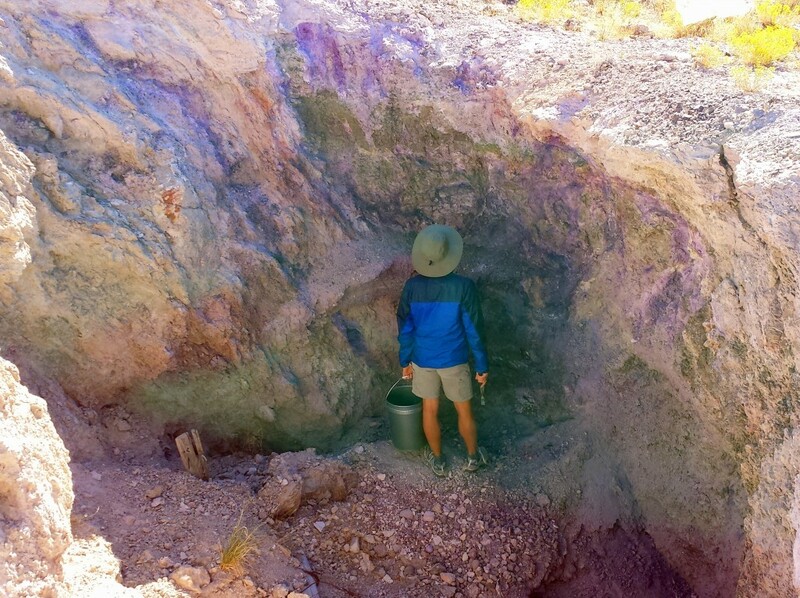 Gypsum is a common evaporative mineral. While gypsum is commonly mined for use in drywall (what interior surface of most building walls), the crystaline form of selenite makes it difficult to process and thus undesirable for use in drywall. “Spot the Rock” is back this week with a riddle! 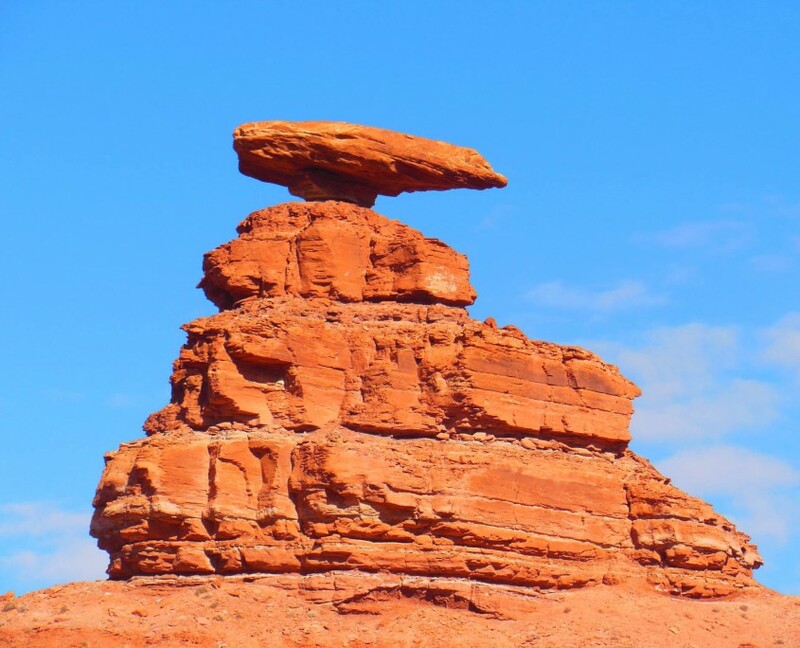 What Utah-“rock” is rarer than diamonds, and more valuable than gold? Check for updates next week to see the answer! Like us on FACEBOOK or follow us on TWITTER to participate! Last week’s “Spot the Rock” was definitely one for our rock hounding friends. And everyone guessed right! Red Beryl is found in Utah, is rarer than diamond, and more valuable than gold. The gemstone has several different names: red beryl, red emerald, or bixbite. Originally, the mineral was named bixbite, but now red beryl is the most accepted designation. Red beryl is estimated to be worth 1,000 times more than gold and is so rare that one red beryl crystal is found for every 150,000 diamonds. Can anyone “Spot the Rock” this week? 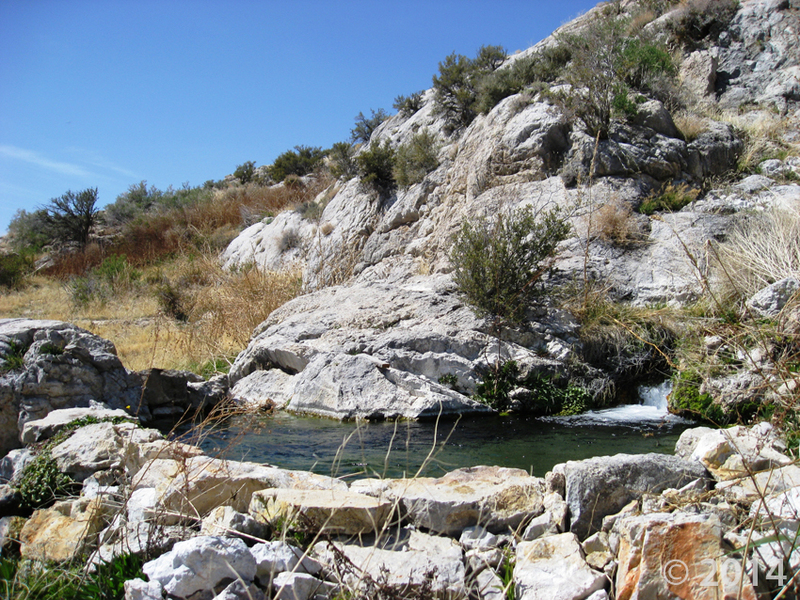 This photo shows one of the many textures present in Utah’s geology. Tell us where you think this is! The Honeycombs, or Honeycomb Hills, is a solitary cluster of hills far out in Utah’s West Desert between the Fish Springs and Deep Creek Ranges. 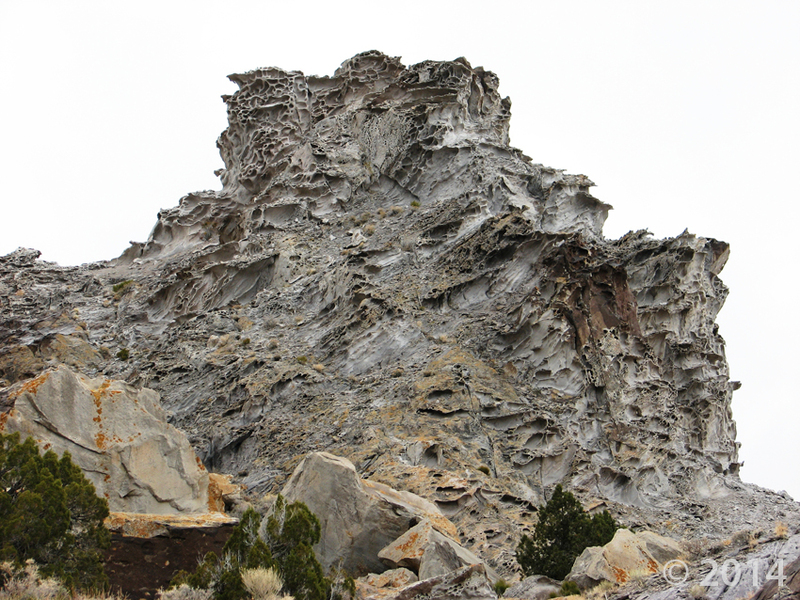 The hills are a product of a violent volcanic eruption some 4.7 million years ago, where forty feet of tuff underlies a 200 million cubic yard dome of topaz-rich rhyolite. The Honeycombs gets its name from the texture of the rock; a recurrent pattern of alcoves, hollows and cubbies, called tafoni, created from a weathering process known as honeycomb, cavernous, or alveolar weathering. This type of weathering is most common to seacoasts and deserts in sandstones and granites on inclined or vertical rock faces. Salt weathering has been implicated in forming tafoni, as well as many other physical, chemical, and biological mechanisms. The weathering of rock into tafoni can occur rapidly, as seen on seawalls built only centuries ago. Happy Thursday, everybody! 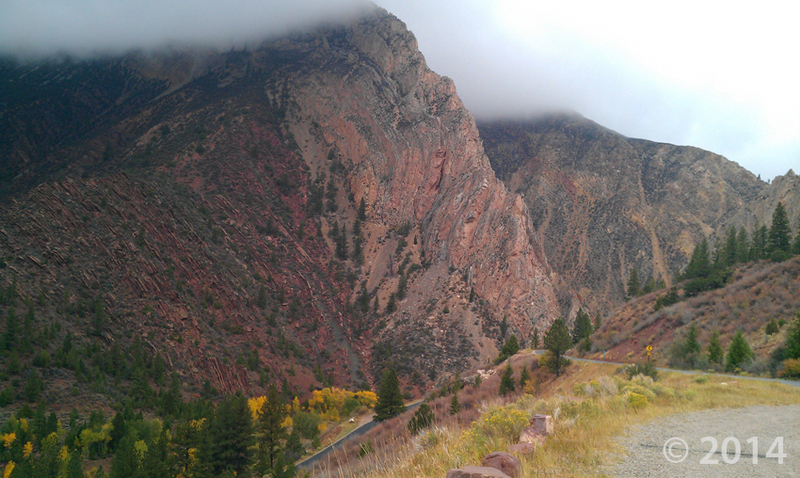 This beautiful photo was taken somewhere in Utah. Can anybody “Spot the Rock” and tell us where it is? 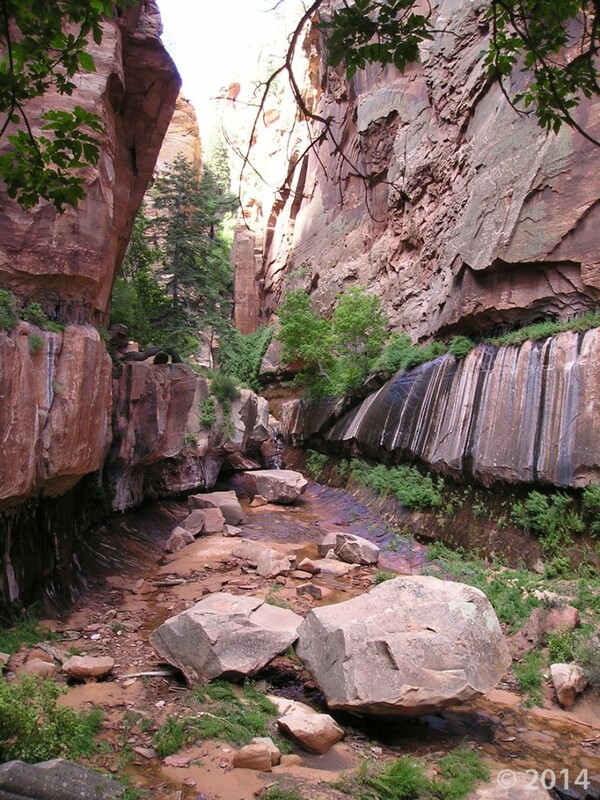 Last week’s “Spot the Rock” is of Water Canyon, just north of Hildale, Utah, in Washington County. 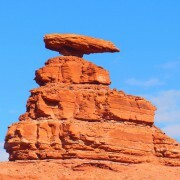 This image shows the contact between the Navajo Sandstone and the Kayenta formation. Slot canyons in the southwest corner of the state often begin to dramatically widen as the river or stream cuts through the softer units of the Kayenta Formation, undercutting the harder Navajo walls. 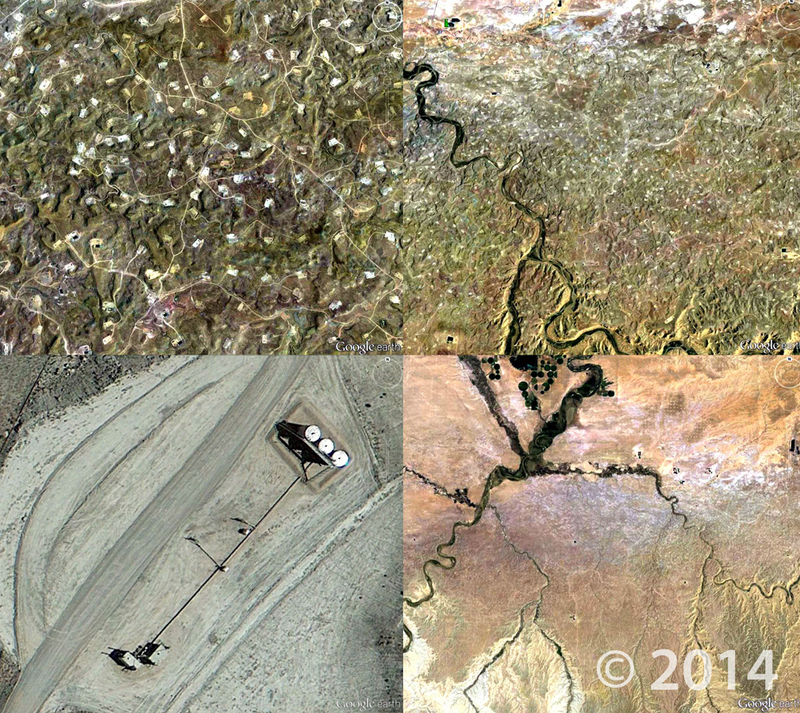 We’ve got another Google Maps edition of “Spot the Rock” for you geo friends this week. Each of these photos are from the same location, but at different zoom levels. Can you guess where this is?? Hello, geo friends! We’re going to try something a little different for “Spot the Rock!” today. Thanks to Google Earth, we’ve got an aerial image for you to ponder. Can anyone guess where this is? 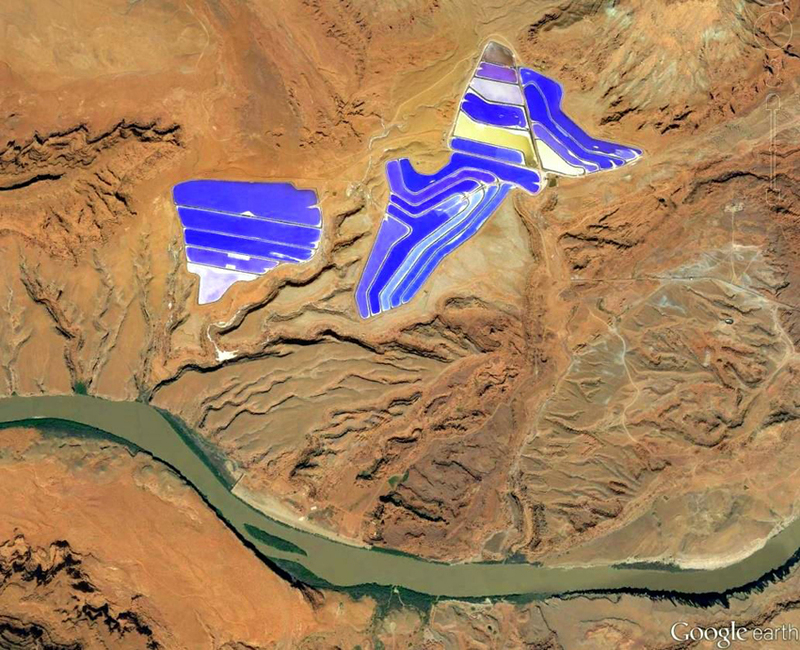 Last week’s “Spot the Rock” featured a Google Earth image of the evaporation ponds at the Intrepid Potash, Inc. ‘solution’ mine in Grand County. These ponds are found roughly 3 miles east and nearly 1,700 feet below Dead Horse Point State Park in San Juan. ‘Potash’ refers to a group of potassium-bearing minerals, the most common of which is sylvite (potassium chloride). Potash is important for its use in fertilizer. 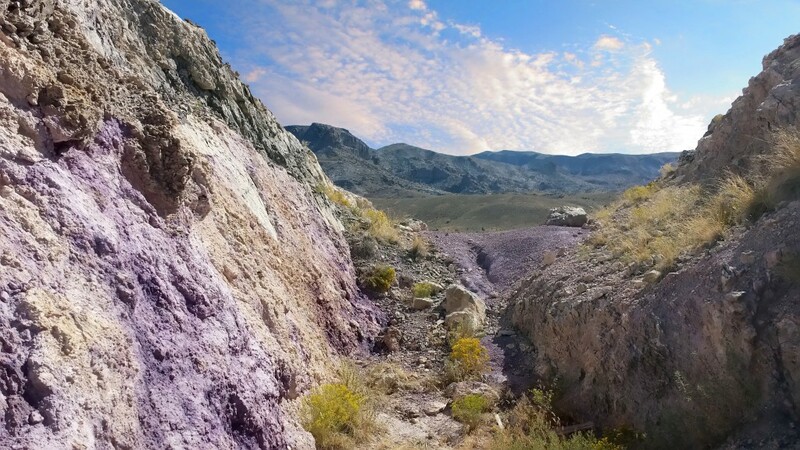 Along with other salts, Potash minerals form through the evaporation of saline lakes or oceans. Intrepid produces potash from deeply-buried evaporites formed during the Pennsylvanian Period (~300 million years ago) in a restricted marine basin where seawater was concentrated, precipitated salt, and was subsequently diluted multiple times.